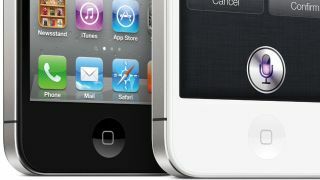 Apple could be putting wheels into motion as it slowly starts to gear up towards the iPhone 5 launch later this year. According to analyst Shaw Wu, the Cupertino-base firm has reduced the number of iPhone orders by 20%-25% for the next quarter. Wu reckons that the decease is "due to the upcoming 6th generation iPhone refresh likely in the September-October timeframe". We've heard reports that the iPhone 5 - or whatever it turns out to be called - may be revealed in June at Apple's annual WWDC event. The June prediction is unlikely if Wu is to be believed, as Apple is known for a fast turn around from announcement to stock in stores – ruling out a 4 month wait from a potential unveiling in just a few weeks time. Wu also reports that iPad orders has risen from 14 to 15 million units, with the reason given that profitability for Apple's flagship tablet is improving.